How is hereditary hemachromatosis inherited? What are the symptoms and signs of hemochromatosis? What about diet recommendations for people with hemochromatosis? What are the recommendations for screening for liver cancer in hemochromatosis? Hereditary hemochromatosis is an inherited (genetic) disorder in which there is excessive accumulation of iron in the body (iron overload). It is a common genetic disorder among Caucasians in the United States, affecting approximately 1million people in the United States. Individuals affected with hereditary hemochromatosis may have no symptoms or signs (and have normal longevity), or they can have severe symptoms and signs of iron overload that include sexual dysfunction, heart failure, joint pains, cirrhosis of the liver, diabetes, fatigue, and darkening of skin. The normal iron content of the body is three to four grams. The total amount of iron in the body is carefully controlled. The body loses one mg of iron daily from sweat and cells that are shed from the skin and the inner lining of the intestines. Women also lose one mg of iron daily on average from menstruation. In normal adults, the intestines absorb one mg of iron daily from food to replace the lost iron, and therefore, there is no excess accumulation of iron in the body. When iron losses are greater, more iron is absorbed from food. In individuals with hereditary hemochromatosis, the daily absorption of iron from the intestines is greater than the amount needed to replace losses. Since the normal body cannot increase iron excretion, the absorbed iron accumulates in the body. At this rate of iron accumulation, a man with hemochromatosis can accumulate 20 grams of total body iron by age 40 to 50. This excess iron deposits in the joints, liver, testicles, and heart, causing damage to these organs and signs and symptoms of hemochromatosis. Women with hemochromatosis accumulate iron at a slower rate than men because they lose more iron than men due to iron loss from menstruation and breastfeeding. Therefore, they typically develop signs and symptoms of organ damage due to excess iron 10 years later than men. Ferritin blood test measures the level of ferritin. 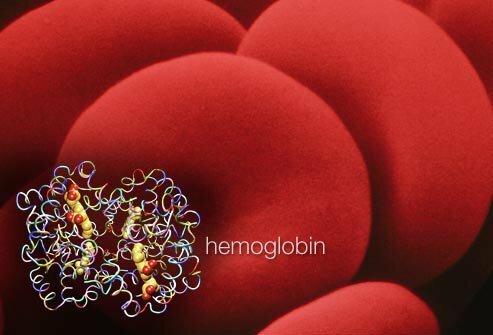 High levels of ferritin can be indicative of an iron storage disorder such as hemochromatosis. Other causes of a high ferritin level are chronic inflammatory conditions such as liver disease or rheumatoid arthritis, or some types of cancer. The human body is composed of trillions of cells. Inside the inner core (nucleus) of each cell are chromosomes. Every human cell has two sets of 23 chromosomes (total of 46 chromosomes). Each set is inherited from one parent. Chromosomes contain DNA that carries genes that govern all bodily functions including cell metabolism, appearance, height, intelligence, hair and eye color, and other physical traits. Defects in DNA (also called mutations) are passed from one generation to the next, and sometimes can cause diseases. There are primarily two mutations associated with hereditary hemochromatosis; C282Y and H63D. The numbers 282 and 63 designate the location of the defects on the HFE gene located on chromosome number 6. An individual who inherits two C282Y mutations (one from each parent) is called a C282Y homozygote, and has a significant chance of developing hemochromatosis. In fact, C282Y homozygotes account for the majority of cases of hereditary hemochromatosis. Patients who inherit one C282Y mutation from one parent and another H63D mutation from another parent are called compound heterozygotes, accounting for a small number of the cases of hereditary hemochromatosis. People with early hemochromatosis have no symptoms and are unaware of their condition. The disease may then be suspected when elevated iron blood levels are noted by routine blood testing. In men, symptoms may not appear until 30-50 years of age. Iron deposits in the skin cause darkening of the skin. Since females lose iron through menstrual blood loss, nonmenstruating women develop symptoms 15 to 20 years later. Iron deposits in the pituitary gland and testicles cause shrinkage of the testicles and impotence. Iron deposits in the pancreas cause a decrease in insulin production resulting in diabetes. Iron deposits in the heart muscle can cause cardiomyopathy and lead to heart failure as well as abnormal heart rhythms. Iron accumulation in the liver causes scarring of the liver (cirrhosis) and an increased risk of developing liver cancer. Most patients with hemochromatosis are diagnosed between the ages of 30 and 50; and about 75% have no symptoms. Hemochromatosis is discovered when elevated levels of iron in the blood are found as part of routine blood testing; or when blood iron levels are measured as in screening studies in family members of patients with hereditary hemochromatosis. Some patients are diagnosed as having hemochromatosis when their doctors perform blood iron levels as part of the evaluation for abnormal elevations in blood levels of liver enzymes, AST and ALT. However, symptoms of skin bronzing or hyperpigmentation (about 70% eventually develop this symptom), diabetes, liver disease, arthropathy, hypogonadism, cardiomyopathy, and impotence or no menstrual periods (amenorrhea) may be present and may suggest that additional screening tests such as transferrin saturation and other blood and liver tests be ordered. There are several blood tests that reflect the amount of iron in the body; ferritin level, iron level, total iron binding capacity (TIBC), and transferrin saturation. Ferritin is a blood protein whose levels correlate with the amount of iron stored in the body. Blood ferritin levels usually are low in patients with iron deficiency anemia, and are high in patients with hemochromatosis and other conditions that cause an increase in body iron levels. Since ferritin also can be elevated in certain infections like viral hepatitis and other inflammatory conditions in the body, an elevated ferritin level alone is not sufficient to accurately diagnose hemochromatosis. Serum iron, TIBC, and transferrin saturation are often performed together. Serum iron is the measure of the amount of iron in serum (the liquid portion of the blood). TIBC is a measure of the total amount of iron that can be carried in serum by transferrin, a protein that carries iron in serum from one part of the body to another. Transferrin saturation is a number calculated by dividing serum iron by TIBC - it is a number that reflects what percentage of the transferrin that is being used to transport iron. In healthy individuals the transferrin saturation is between 20% and 45%. In patients with iron deficiency anemia, the serum iron and transferrin saturation are abnormally low; and in patients with hereditary hemochromatosis the serum iron and transferrin saturation may be abnormally high. Consequently, if transferrin saturation is about 45% or higher, the presence of mutations C282Y or H63D should be examined to confirm the diagnosis of hereditary hemochromatosis. Since serum iron can be elevated by eating and can fluctuate during the day, serum iron measurements should be done fasting, usually in the morning before breakfast. The most accurate test for diagnosing hemochromatosis used to be the measurement of the iron content of liver tissue obtained by a biopsy. A liver biopsy involves the removal of a sample of liver tissue for analysis and is usually performed with a needle under local anesthesia. After numbing the skin and the underlying tissues, the doctor inserts the needle into the liver through the right lower rib cage, sometimes under ultrasound guidance. The tissue obtained by the needle is studied under a microscope for signs of active liver disease, fibrosis and cirrhosis (permanent scarring), and iron content (usually significantly elevated in hemochromatosis). The liver biopsy also has prognostic value because it determines whether the patient already has irreversible advanced cirrhosis. Patients with hemochromatosis who have a normal liver biopsy have longevity similar to other healthy adults if adequately treated, while patients with cirrhosis as a result of hemochromatosis have significantly reduced longevity. Furthermore, the risks of cirrhotic patients developing liver cancer (hepatocellular carcinoma) are substantially higher than normal subjects, even with adequate treatment of the iron overload with phlebotomy. However, with the newer genetic testing, this invasive technique should be used only under certain conditions and is used infrequently. The gene for hereditary hemochromatosis was identified in 1996. The gene is referred to as the HFE gene. Hereditary hemochromatosis is associated in most patients with two mutations of the HFE gene; C282Y and H63D. Currently, most investigators consider detection of these genes as diagnosis of heriditary hemochromatosis. A C282Y homozygote is a person who has inherited one mutated C282Y gene from each parent. A C282Y homozygote is considered at considerable risk for developing iron overload disease. However, not every C282Y homozygote develops iron overload. A C282Y/H63D compound heterozygote is a person who has inherited one mutated C282Y gene from one parent and a second mutated H63D gene from the other parent. Most compound heterozygotes have normal iron levels though some can develop mild to moderate iron overload. A C282Y heterozygote is a person who has inherited one mutated C282Y gene from one parent and a second normal HFE gene from the other parent. Children born of two C282Y heterozygotes have a 25% chance of being a C282Y homozygote and, therefore, will be at risk of developing hemochromatosis. A C282Y heterozygote does not develop iron overload. Adults suspected of having hereditary hemochromatosis (for example, adult, first-degree relatives of a patient with hereditary hemochromatosis) are evaluated by measurements of fasting serum iron, TIBC, transferrin saturation and ferritin. Patients with transferrin saturation greater than 45% who are C282Y homozygotes have hemochromatosis and, therefore, should be treated with therapeutic phlebotomy (see below). Who should undergo liver biopsy? Young patients (<40 years of age) who are C282Y homozygotes with normal liver blood tests and serum ferritin levels <1000 ng/ml have a very low risk of having cirrhosis of the liver. Therefore, these patients can be treated with therapeutic phlebotomy without a liver biopsy. Their prognosis is excellent with adequate treatment. Older patients (>40 years of age) who have serum ferritin levels >1000 ng/ml, and have abnormally elevated liver blood tests may already have developed cirrhosis. Doctors may recommend liver biopsies in these patients provided that it is safe for them to undergo liver biopsy. The most effective treatment for hemochromatosis is to reduce iron in the body by phlebotomy (withdrawal of blood from the arm veins). One unit of blood, which contains 250 mg of iron, usually is withdrawn every one to two weeks. Serum ferritin and transferrin saturation are checked every two to three months. Once ferritin levels are below 50 ng/ml and transferrin saturations are below 50%, the frequency of phlebotomies are reduced to every two to three months. When hemochromatosis is diagnosed early and is treated effectively, damage to the liver, heart, testicles, pancreas and joints can be prevented completely, and patients maintain normal health. In patients with established cirrhosis, effective treatment can improve the function of the heart, skin color, and diabetes. However, cirrhosis is irreversible and the risk of developing liver cancer remains. It prevents the development of liver cirrhosis and liver cancer if the disease is discovered and treated early. It improves liver function partially in patients who have already developed advanced cirrhosis. It improves and/or completely resolves symptoms of weakness, liver pain, joint pain, and fatigue. It improves function of the heart in patients with mild and early heart disease. A normal balanced diet is recommended without avoidance of iron containing foods provided patients are undergoing effective therapeutic phlebotomy. Alcohol should be avoided since alcohol consumption increases the risk of developing cirrhosis and liver cancer. Ingestion of high doses of vitamin C in individuals with iron overload may lead to fatal abnormal heart rhythms. Therefore, it is reasonable to avoid vitamin C supplementation until patients are adequately treated. Raw seafood should be avoided since people with hemochromatosis are at risk of acquiring bacterial infections that flourish in iron rich environment. Liver cancers (hepatoma or hepatocellular cancer) mainly occur in patients with cirrhosis. Therefore, patients with hemochromatosis and cirrhosis should have abdominal ultrasound examinations and blood tests for alpha-fetal protein (a protein produced by liver cancer) every six months. CDC. Hemochromatosis (Iron Loading Disease) Training & Education - Epidemiology Prevalence. UpToDate. Patient information: Hemochromatosis (hereditary iron overload) (Beyond the Basics). What were the symptoms and signs with your hemochromatosis (iron overload)?